See exactly what you want, when you want it. Does your current reporting software do what you thought it would do? Did you get what was promised, but it’s not what you expected? If your cookie-cutter software reports aren’t meeting or exceeding your expectations, maybe it’s time to explore whether custom-built software can better handle the nuances of your company’s reporting needs. Do you get January’s month-end reports in March? Does your team spend hours typing or copying and pasting information among spreadsheets? Do you wonder why you get different numbers for the same business metric from each of your systems? If you answered yes to any of these questions, you may benefit from a custom-built software system. Log in to each system. Find the correct menu option. Print, export, or save it. This routine can quickly become time-consuming and frustrating, especially if don’t use the system very often, or you only log in to create reports. Our custom web application development takes all of these factors into account so we can minimize your steps and meet your company’s unique needs. Your company wasn’t built on a cookie-cutter mentality. Why should your reports be based on a cookie-cutter process that doesn’t fit your mold? Your software is built on a foundation of interconnected data, and it should be possible for someone who understands databases to pull information from multiple systems, consolidate it, and give you a one-stop-shop to easily review the reports you need. Avoid logging in to each source system to create reports. Easily select the type of information you need, such as sales or production. Enter parameters, such as a date range or a client name, to limit your results. Review information without printing it. Export results to a spreadsheet for further analysis and use. Custom Reporting Software can simplify your life, streamline your business processes, and allow you to get your January month-end reports by February 1. DragonPoint Software writes better custom reporting systems to help clients who enter data into one or more systems, but can’t get the information out in the format they need with their current reporting software. We use standard Microsoft tools, such as VB or C#.NET and SQL Server, to extract your data from one or more systems and create reports that make sense and present the information the way you need to see it. 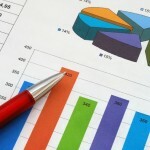 With reports that fit your business, you can make informed decisions more quickly.